According to the Association of Certified Fraud Examiners, a typical business loses 5% of revenue per year due to fraud. The median loss for business is $150,000. At Turn Key Office, we work hard to protect our clients’ interests. All of our employees have background checks and our procedures and recommendations are intended to assist our clients in deterring fraud. Sadly, most fraud cases are not prosecuted for a variety of reasons, allowing candidates with prior fraud in their history to operate without any blemish on their record. Trust but verify. Should we be called upon to assist in a prosecution or an investigation, the owner of the company holds a Certified Fraud Examiner certification and can assist a legal team or law enforcement in prosecuting offenders. 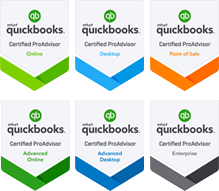 Maintaining a QuickBooks data file alone cannot eliminate bookkeeping fraud and embezzlement, but when its security features are used properly in conjunction with good business practices, the combination can make theft significantly more difficult and less tempting in a difficult economic environment. Prevent bookkeeping fraud and use these 22 best practices for eliminating, deterring and detecting company theft. Click HERE more fraud tips.